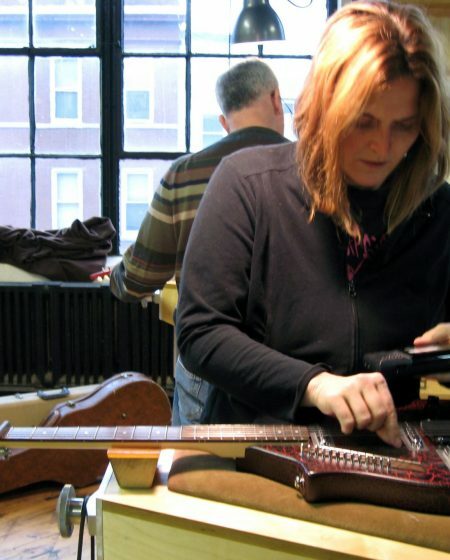 *This course is also part of Electric Guitar Making July Summer Camp! 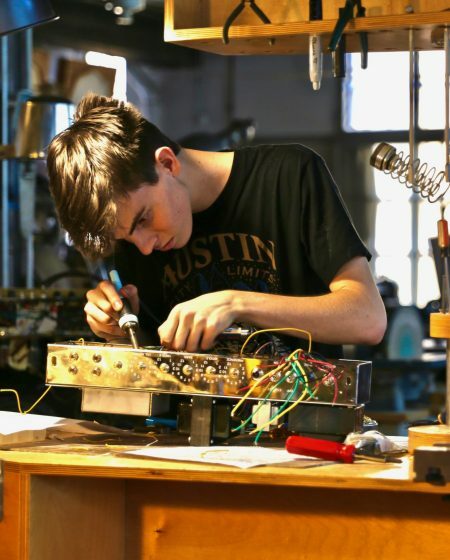 During the course of these workshops, students will make their own electric guitar completely from scratch using raw materials and the time tested methods of luthier Ian Schneller. Students may also use this time to continue work on their Acoustic Guitar making. Students will learn how to shape their guitar’s neck and body, install the truss rod, install all hardware and much more. At the end of this multi-step process students will have a wonderful creation that fulfills their own unique vision. This course is also part of our Electric Guitar Making Summer Camp. 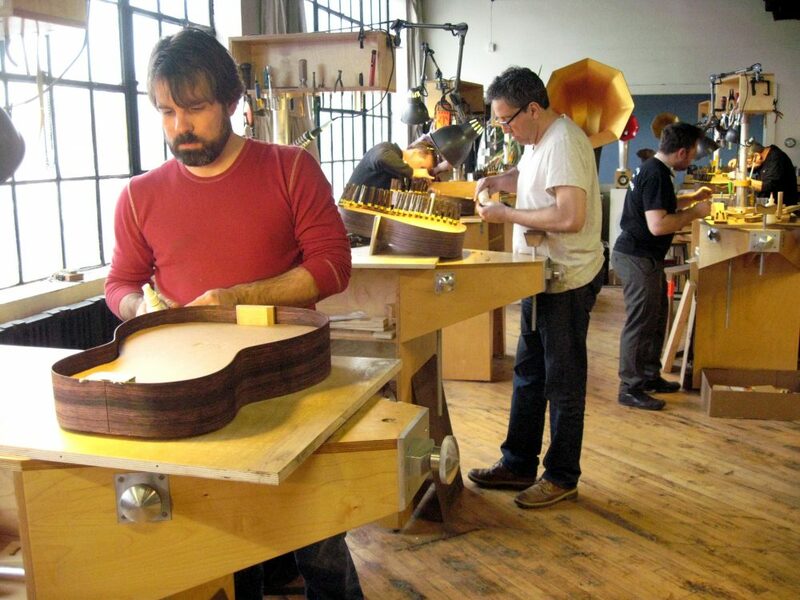 Take this course as a part of a one, two, or three week custom guitar making course in July! 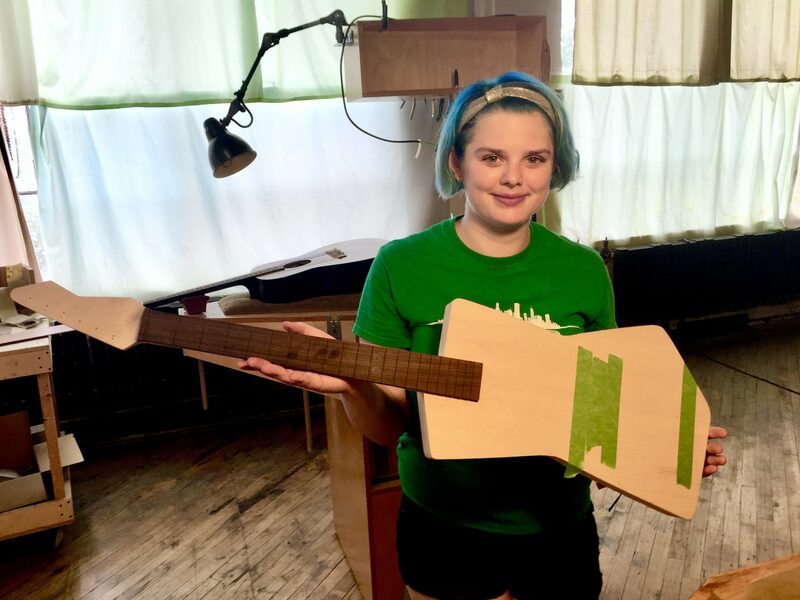 In these workshops students will either continue working on their acoustic guitar or make an electric guitar based on the blueprint they created in our Design + Blueprint Workshop. 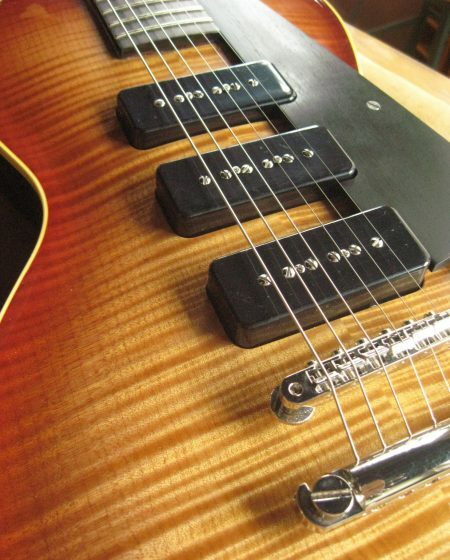 Electric guitar making students must complete theie blueprint before starting this course. Tuition includes instruction, a reference handbook, the use of a dedicated luthiery workbench and all tooling needed to complete this project. Many of the materials for this instrument making project are available through the school. Much of the hardware such as bridge, tuners, and pickups should be selected in the design class and ordered in advance either through the school or on the students own. The main objective of the Guitar Making Workshop is to provide a set of sequential tutorials that will guide the student through the guitar building process. 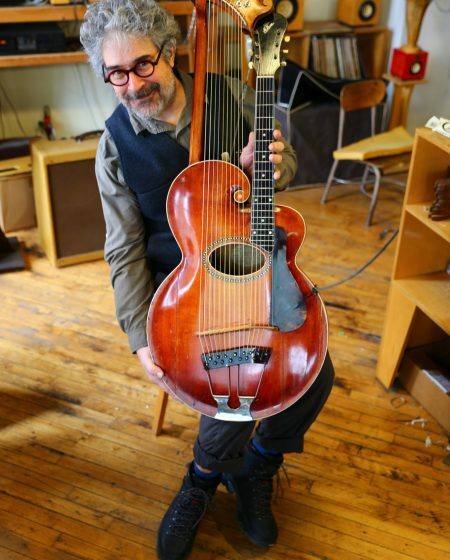 Whether the student chooses to make a reproduction of a traditional/classic design or chart new territory into an unknown realm, the emphasis will be on making a supremely-functional and long-lasting instrument of beauty. This workshop welcomes both the traditionalist and the experimentalist. While prior knowledge of woodworking and shop tools is helpful, the instructor will be on-hand at all times for assistance or to carry-out machining procedures for those students with less experience. During the workshops students will observe a number of demonstrations on various aspects of the making process. The timing of these demonstrations will be dependent upon the needs of the students so that workshops can be personalized to match where each student is within the process.